I have spent a little time in Italian jazz clubs so I feel fairly safe saying that some of Europe’s best jazz musicians hail from Italy. (I have a French friend who would, and has, aggressively argued this with me). 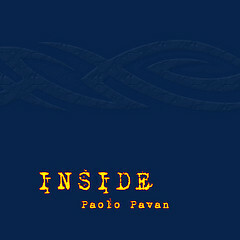 Pianist Paolo Pavan has to be one of the finer jazz artists in Italy and, from the sound of his free online album titled Inside, can clearly hold his own with the upper echelon of jazz musicians throughout the world. Inside is an album of straight ahead acoustic modern jazz. Harking back to the post bop of Miles and Coltrane, it still manages to have a very modern sound along with solid improvisation. While some of the tracks tend to be a bit cerebral, the album has nice upbeat numbers in “Urban Slanging” and “Blue Night Dance”. Pavan’s keyboard work remains sensitive and sure throughout. However special mention should be made to saxophonist David Marinaci whose playing on “Opposites”, “What’s Up”, and “Urban Slanging” reminds me of Wayne Shorter. “Urban Standing” also features Pavan’s more soulful solos while his work on “Silents” exhibits a blues tinted but reflective side. There is some exceptional cool jazz meanderings from trumpet on “Silents” and “Through The Night”. (Note to musicians, especially those who distribute on Jamendo. Please credit all of your sideman) Of the online jazz albums I have featured, Inside goes right up with Jimmy Greene’s Brand New World and Steve Coleman’s Black Science as my top jazz recommendations.